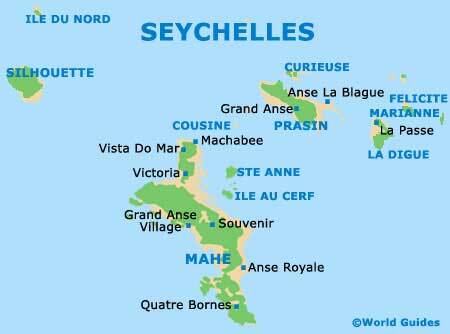 The Seychelles is home to relatively few museums and most of these are located on the island of Mahé. In Victoria you will discover the highest concentration of these cultural offerings, where highlights include both the National History Museum on Francis Rachel Street and the National Museum of Natural History on Independence Avenue. Also in Victoria is the Seychelles National Cultural Centre and its regional treasures, offering an insight into the island residents and their communities. On the island of Praslin, the Praslin Museum showcases many traditional activities, such as the art of de-husking coconuts. There is also a large garden here, filled with medicinal plants and mature tropical trees. Established in the mid-1960s within the National Library Building, the National Museum of History is the principal repository of the country's most important and precious historical artefacts. Exhibits range from maps, some of which date back to the 15th century, to the Stone of Possession, originally placed on Mahé by the French in the middle of the 18th century. The venue is relatively small in size, with the exhibits being spread around one main gallery, subdivided into a number of different themed sections. Located between Albert Street and the 5th June Avenue, the Natural History Museum is an Aladdin's cave of stuffed animals and birds, such as giant crabs. There are also items salvaged from shipwrecks, as well as environmental information relating to the ecology of the Seychelles. Visitors can come here to learn about the islands' wildlife and its many important creatures, including its native crocodiles and giant tortoises. Both of these creatures, however, are no longer living in the wild on the main islands. You can also find much information relating to the rare Coco de Mer palm and see one of its largest ever preserved nuts, weighing in at more than 18 kg / 40 lbs. Places of interest close by include the Old Courthouse, the Anglican Church and the Central Post Office. The National Cultural Centre is to be found on Victoria's State House Avenue, close to the State House, where it comes with a collection of historical artefacts and cultural objects that relate the story of the peoples of the islands. Also here is a display of various works of art, which often depict local scenery and landscapes. 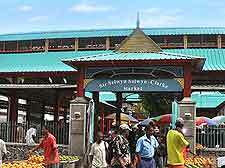 These are the headquarters of the Seychelles People's United Party, commonly abbreviated as simply the SPUP and also known as the People's Progressive Front (SPPF). The onsite People's United Party Museum is dedicated to the history of this political party and although this attraction is relatively small in size, it does come with some interesting exhibits. There are displays of photographs, weapons and other items, which combine to tell the story of the party, its purpose and its achievements. Located on its namesake Praslin island, the Praslin Museum features exhibits which recall the culture of the Seychelles, as well as its medicinal traditions. Also on display here are some intriguing artefacts, old tools, ceramics and photographs relating to the history of the islands. Visitors are even able to get up close to a colony of fruit bats and enjoy a glass of freshly squeezed fruit juice or fragrant citronelle tea at the cafe.